Georgian National Museum Dimitri Shevardnadze National Gallery invites you at the photo exhibition by Christian Rose. 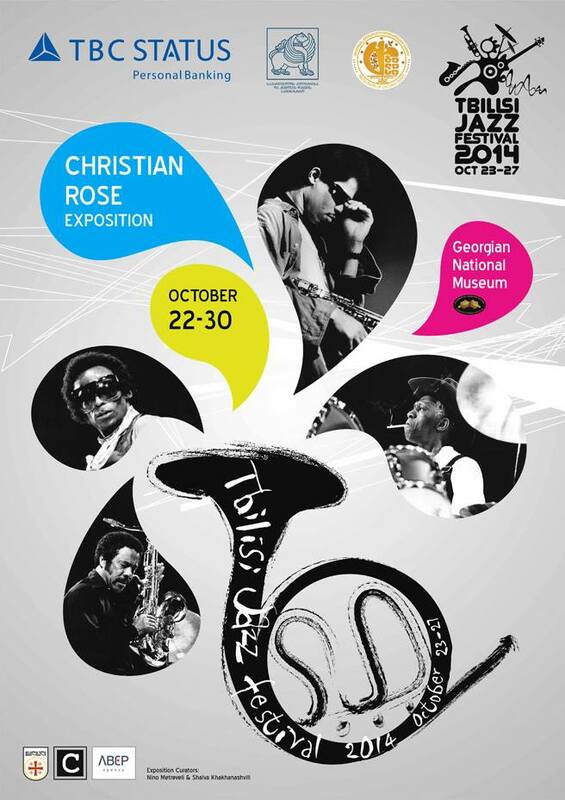 Opening event will take place on October 22nd, 2014, at 4 p.m.
Christian Rose has been working in jazz and photography for 50 years. At the age of 19 he began his career at Jazz Magazine in France by publishing pictures of live jazz performances on stage. He gained popularity not only in France but also in other countries. Therefore he was working for famous publications, such as: Le Monde, Liberation, L'Express, Le Nouvel Observateur, as well as specialized Music magazines Guitare Mag, Keybords Mag, Batteur Mag, MUZIQ and etc. Besides, Christian Rose is an author of several books: Instants de Jazz, Jazz Meetings, Zappa in France, Black & Soul and Guitare 160 Portraits de Légende. Exhibition is supported by The Ministry of Culture and Monuments Protection of Georgia and will take place in the frameworks of Tbilisi Jazz Festival. The exhibition will last until November 16, 2014. Curators of the exposition are Nino Metreveli (Tbilisi) & Shalva Khakhanashvili (Paris).